Comments: Good condition with minimum amount of wear. Same day shipping. Thank you. 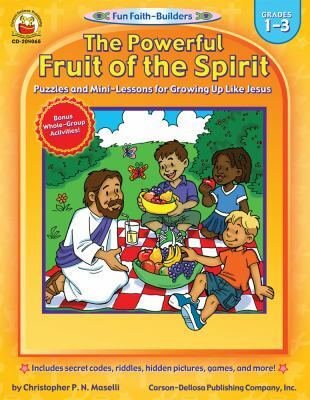 Maselli, Christopher P. N. is the author of 'Powerful Fruit of the Spirit', published 2008 under ISBN 9781600225208 and ISBN 1600225209. Loading marketplace prices 4 copies from $40.39 How does the rental process work?